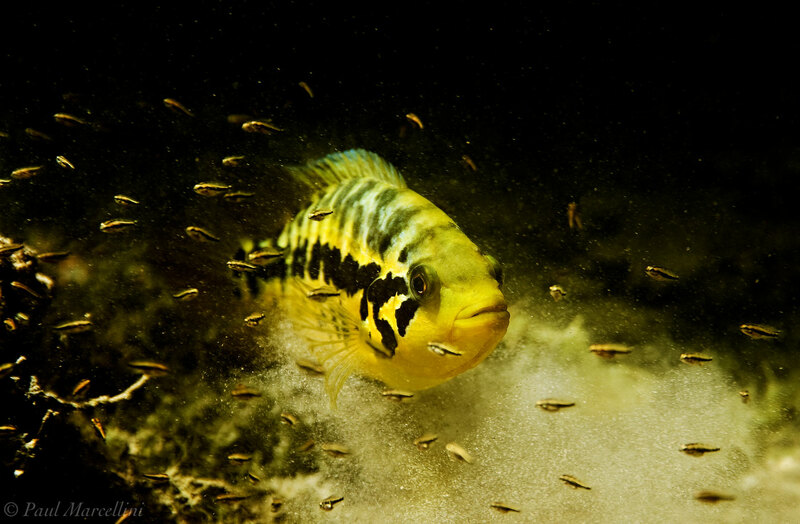 Cichlids are typically very protective of their young. This one (Parachromis loisellei) was even holding her ground against my big clunky underwater camera housing. Photo © copyright by Paul Marcellini.